Great app easy to use! This is a great app and I use it every day. However, after the recent update, if you select "detailed closing costs" the app crashes...every time. Please fix and it goes back up to 5 stars. Not only am I impressed, but my clients are thrilled with this App - putting my business ahead of the competition!! HTCAgent is a Must Have...contact Coey Howe for all your Closing needs! 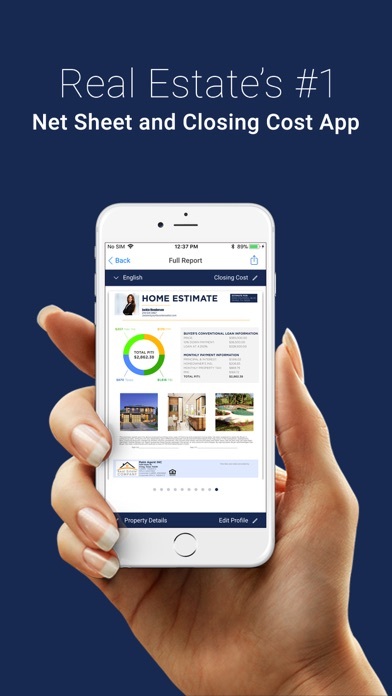 Must have app for Realtors! This is the perfect app for all real esate professionals. Accurate and easy to use.